One of the earliest African civilizations was the kingdom of Ethiopia founded by a man named Cush. The city was originally called Cush and later became known as Ethiopia. The Cushitic, or Old Original Ethiopian alphabet conisted of Alf, Bet, Gemal, Dent, Haut, Waw, Zai, Hbram, Tait, Jaman, Caf, Lawi, Mai, Nabas, Saat, Ain, Af, Tzadai, Kof, Rees, Saut, and Tawi. From that language root we get the Hebrew Aleph, Beth, Gimmel, Dalet, Hey, Vav, Zayin, Chet, Teth, Yod, Khaf, Lamed, Mem, Nun, Samech, Ayin, Peh, Tzadde, Qof, Resh, Shin, and Tav. As you can observe the Hebrew alphabet is nearly identical to the Cushitic, or Old Original Ehtiopian. For the Arabic language version we find Alef , Ba, Jim, Dal, etc. Then came the Greeks who continuously visited Africa to obtain cultural development Westerners pretend originated in Greece. They adopted the Cushitic alphabet and made: Alpha, Beta, Gamma, Delta on to Omega. The barbaric Romans, educated by their Greek slaves, learned the Greek alphabet which they translated into A, B, Ce, D, etc. The Roman missionaries later taught the uncivilized English. Julius Caesar commented that these whites were naked savages. Thus the Cushitic alphabet reached the British alphabet to become A, B, C, D, etc., as we know it. Research tells us that the pictures on Egyptian monuments revealed that the Cushites (or Ethiopians) were the builders of the first pyramids. 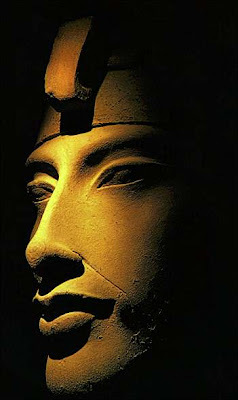 They not the Egyptians were the master craftsmen of the earlier ages of Egypt. The first courses of the pyramids were built of Ethiopian stone. The Cushites built temples that reached far back as the first cataract, the land tract of Aswan. The pyramids of Giza and the temples of Meroe are all architectural accomplishments of the Cushites. In ancient antiquity, Nimrod, the son of the founder of Cush, went on to form the civilization of Mesopotamia known also as Babylonia or Bablyon (or Sumer) Babylon located between the Tigris and Euphrates Rivers made its land very fertile allowing it to flourish tremendously. Research tells us that there was an Ethiopian civilization in southern Mesopotamia known as Babylon but the people in this region did not use their tribal name (Ethiopia), to designate their nationality. They called themselves by the names of the cities in which they inhabited. Having constructed the city of Babel, for instance, these Ethiopians called themselves Babylonians after that city of Babel. Mesopotamia, the so-called "cradle of civilization" is in Northeast Africa. The Babylonians made sharp advances in astronomy, mathematics, medicine, technology with metals, religion, holidays and festivals, economics, family life, government. The Mesopotamians developed the first civilized law called Hammurabi’s law. Which served as the foundation of legal systems throughout the world including the U.S. Hammurabi also established the seven-day week, with the last rest day or Sabbath. This idea was later adopted by the Hebrews and then transmitted to the Greeks, Romans, and other European societies. Mesopotamia or Babylon is now known as modern-day Iraq. Iraq is said to be in the “Middle East” (a 19th century colonialist invention) but my study of geography has convinced me that the so-called “Middle East” is an extension of Africa and not Asia as the cartographers conveniently put it. Many of these same propagandists also fail to convey that the original Asians were BLACK. The first Egyptian was called Mizraim, son of the black Ham. Ancient and modern scholars have established the location of Mizraim as Egypt. Egypt was divided into two kingdoms: Upper and Lower Egypt. The pharaohs of Upper Egypt wore the hawk insignia on their Crown while those pharaohs in Lower Egypt wore the snake. The Pharaohs established powerful governments and built empire that extended in all directions, making them the most powerful country in the world. The Egyptians were proficient in mathematics, medicine, engineering, and agriculture. Their doctors even performed successful open-heart surgeries…and this was thousands of years ago! The used geometry to resurvey every year that the Nile overflowed. Pythagoras, the Greek mathematician, learned mathematics from the Egyptians. Algebra originally came from the Arabs, who were descendants of the black Cushites. The word “algebra” came the Arabic aljebr which means “the science of the equations.” When the African Moors conquered Spain and Portugal they carried algebra into Europe. Some scholars suggest that European civilization evolved from Africa and Asia through Crete. Some researchers consider Crete to be the birthplace of European civilization. Crete is the largest of the Greek islands. The oldest paved road was found in Egypt. The Egyptians were skilled navigators…the most famous of fleets was the Abydos fleet. The Egyptians were also known for creating the commonly known “Scientific Method.” They were also on the cutting edge of mathematics as mentioned earlier. They were advanced in fractions, calculus, geometry, and other mathematical sciences such as algebra. The construction of the Pyramids is indicative advances in architecture and astronomy. The Pyramids corresponded to the working of the Sun…mysteries that are not even known to modern-day scientists and historians. If you are of the evolutionist persuasion, C.R. Gribbs documents 2 million years, yes 2 million years, of Black invention and innovation in his repressed book Black Inventors from Africa to America: Two million years of invention and innovation. The white German historian Herbert Wendt said, in his book It Began in Babel, "Now as always there are laws demoting other races to the rank of second-rate human beings, and people who accuse certain human races of being biologically and intellectually inferior...The bilogists have long known that our intellectual and cultural attainments have nothing to do with racial heredity. Ancient Indian, oriental and Mongolian nations created civilizations before the whites did. People of Semitic and Hamitic origin and language were already playing a leading role in the western world before the Indo-Europeans ever entered into history. American Indians and Negroes founded empires and evolved arts which were equal to and often better than our own (specifically, whites). It is immaterial to the history of Mankind what races are the upholders of progress and civilization." This is a reproof to the white supremacist scholars, site holders, and bloggers still living: Ironically, your assessment of Black intelligence is based on highly-funded Jewish pseudo-science. These are the very same people you claim to be fighting against. * It is time to unplug from the Matrix. *I am specifically speaking to those in the so-called "Zionist Truth Movement," which is also heavily infiltrated by agents. Copyright © 2009 Zionism Unveiled Productions. All Rights Reserved. There is no such thing as a closed case. This website's logo is under copyright © of Zionism Unveiled Productions, 2010. All rights reserved. This is the original work of a contributing artist. Infringement is prohibited and prosecuted by law. Who Are the Biblical Hebrews? 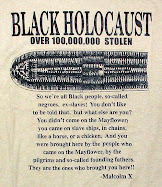 Who Brought the Slaves to America? "According to a statement released by the American Anthropological Association (AAA), the US Government should phase out use of the term 'race' in the collection of Federal data because the concept has no scientific justification in human biology." 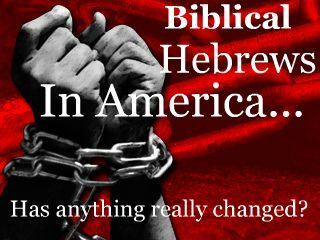 "Black Americans now are in position as never before in modern history to rediscover, and reclaim if they wish, a heritage which has profoundly influenced world history and mankind: the Hebrew heritage of Black Africa." We Are a Vaccine Nation! Will Israel Fall in Five Years? Flu Vaccine Exposed: Think Twice! Netanyahu attacks Ahmadinejad's Holocaust denial? "You shall know the truth, and the truth shall set you free." DISCLAIMER: The owner of this blog has no connection or affiliation with any political, non-political, hate/racist, and/or terrorist groups, entities, and/or individuals. Neyo Webster is an independent researcher whose sole agenda is to advance the truth regarding the world in which he lives. This site contains copyrighted material the use of which has not always been specifically authorized by the copyright owner. It is being made available in an effort to advance the understanding of environmental, political, human rights, economic, democracy, scientific, and social justice issues, and so on. It is believed that this constitutes a 'fair use' of any such copyrighted material as provided for in section 107 of the US Copyright Law. In accordance with Title 17 U.S.C. Section 107, the material on this site is distributed without profit to those who have expressed a prior interest in receiving the included information for research and educational purposes. If you wish to use copyrighted material from this site for purposes of your own that go beyond 'fair use', you must obtain permission from the copyright owner. Copyright © Zionism Unveiled Productions. All Rights Reserved.